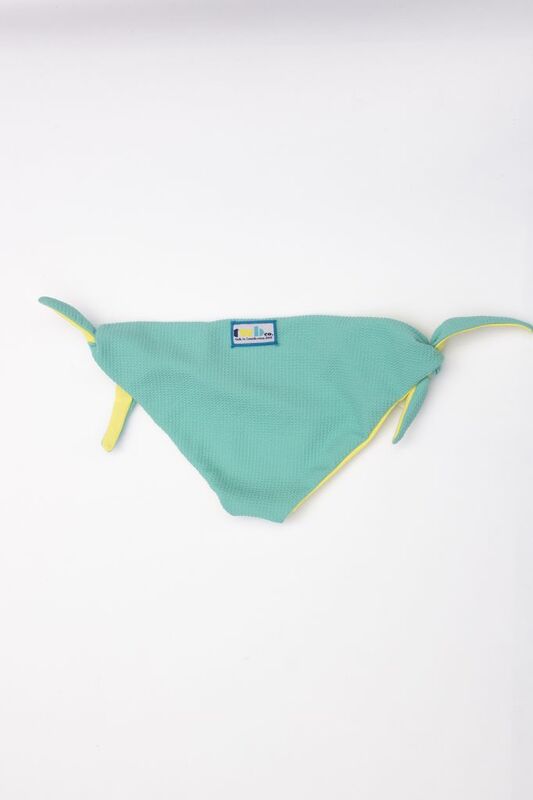 Tie Bums in Seafoam/Lemon — AUNT JOAN'S COTTAGE COLLECTION - Teeny Weeny Bikini Co.
-Fuller coverage for your back end, none of this halfway business! Bought these a few years ago and they are great! The thicker tie straps make them really comfortable and keep them in place. I also love that so many of these bathing suits of reversible. Felt like I was buying 3 bathing suits at this price... also awesome for travelling! The Tie Bums are a TWB co. classic style we've been doing since the beginning. These reversible bottoms are one of our most popular. 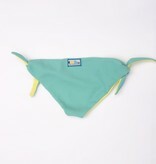 A fully reversible bather inspired by the Art Nouveau movement. 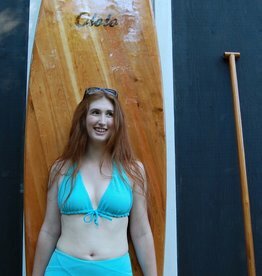 A fully reversible triangle bikini top. A classic vintage-style silhouette bottom with a high-rise and comfortable fit.